Tianjin Maritime College, Jinnan, Tianjin, 300350, China. Based on the V-type diesel engine crankshaft system, the paper combined the finite element method (fem) and multi-body dynamics method together, made a virtual simulation analysis. First, by 3d software and finite element software to establish the multi-body dynamic models of the crankshaft, bearing and piston, then simulated the actual engine working condition, and got the data such as crankshaft acceleration, velocity and displacement by the multi-body dynamics simulation analysis. 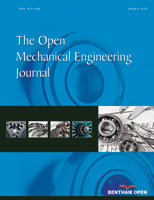 By calculation, the paper found that by using the combination of finite element and multibody simulation method, can we effectively simulate the diesel engine crankshaft dynamics characteristics.